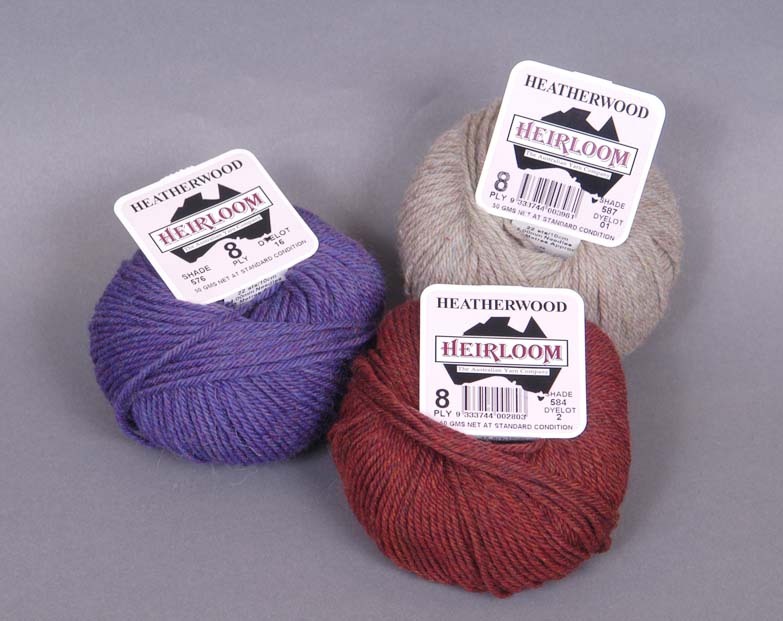 Heatherwood a Merino DK is a wonderful yarn that is gaining popularity in our market. 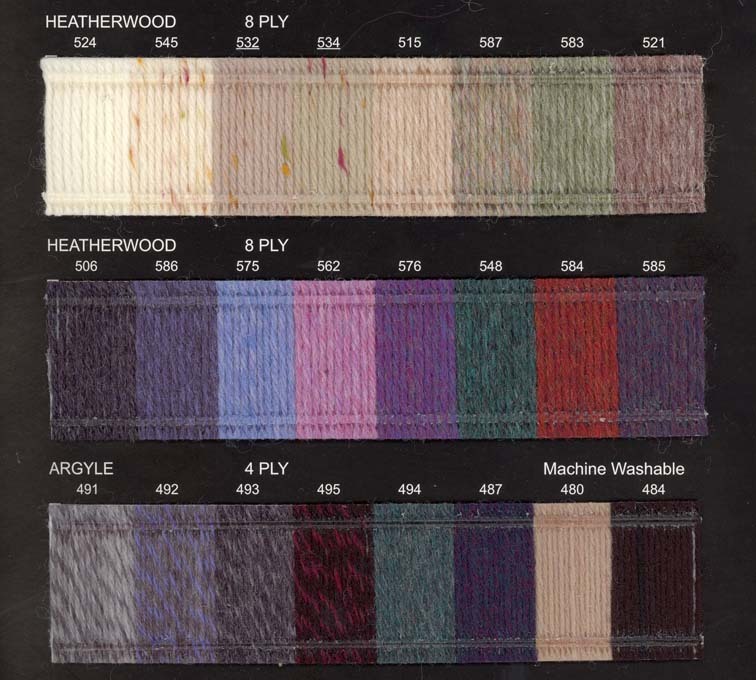 Twenty four varigated to tweed shades offered in 2001. This quality has been a staple in Australia. 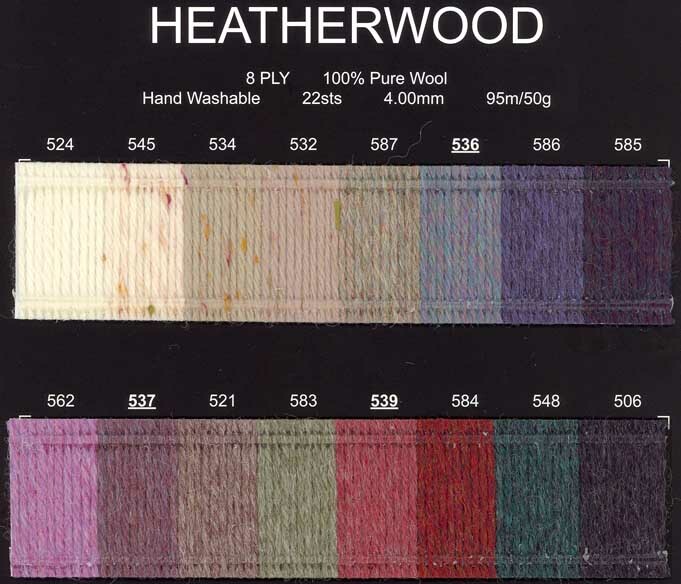 50 grams - 105 yads - 5 ply available on special order.